Would you say a harvestman has a high waistline? I am notoriously (well in my own mind) unwilling to change out lenses when out on photo safari. I don’t like to open up the camera in the field as I am usually mucking about on the ground, sweating and generally anxious about missing an opportunity during a change out of lenses. I do it, don’t get me wrong, but it takes some movement of my spirit, let’s say, for it to happen. A common subject like this harvestman is not going to move me typically. A lot of times these subjects are just on the edge of fitting in on the low magnification end of my reverse lens. If they cannot fit into view, it is sometimes easy to skip over them. Other times it is a challenge that renews my captivation in an already well-studied subject: how can I see this peculiar thing anew? The key with harvestmen I believe is to find a way to utilize their paradoxically insubstantial yet defining legs in making the photo’s impact. 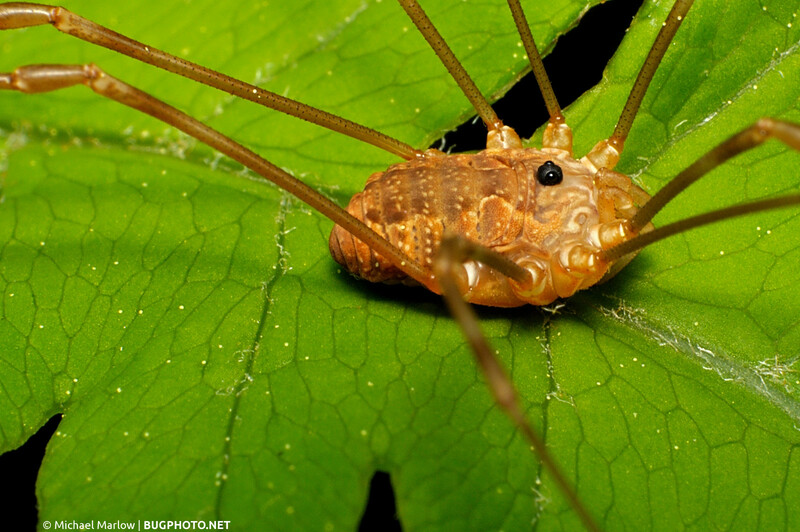 Posted in HarvestmenTagged common, cutoff, daddy long-legs, harvestman, legs, Macro Photography, OpilionesBookmark the permalink.